The pace and scale of China’s economic transformation has no historical precedent. In 1978, China was one of the poorest countries in the world. In 2015, China surpassed US to become the largest economy in the word in real PPP terms. China now accounts for 16.5% of the global economy and has also become the first economy ever to sustain an average growth rate of 10% for over two decades. 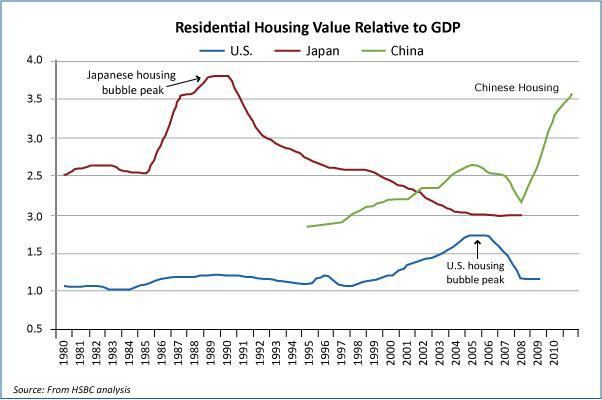 But we need to ask how has China been able to sustain such a high growth. China has based its growth on massive credit expansion and cheap exports. Its growth started out as a boom based on successful economic reforms and modernization that helped to lift hundreds of millions out of poverty. But, it turned into something of a wild real estate speculation and reckless construction of empty cities. Fueled by real estate and shadow banking, China’s total debt has nearly quadrupled, rising to $28 trillion by mid-2014, from $7 trillion in 2007. At 282 percent of GDP, China’s debt as a share of GDP is larger than that of the United States or Germany. 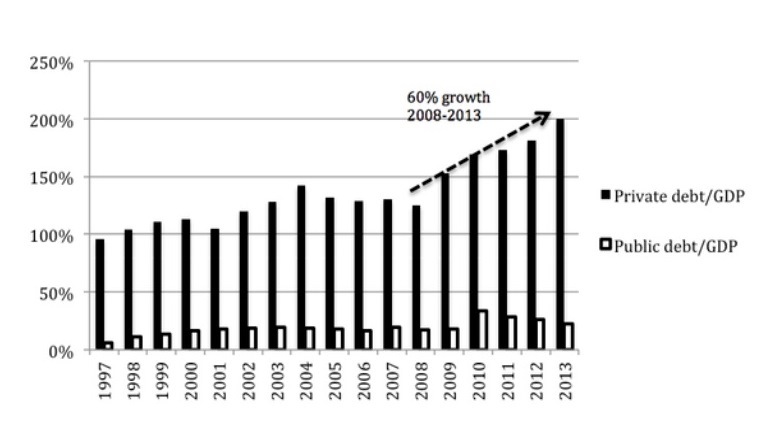 China has experienced gross fixed capital formation of more than 40% of GDP for the last decade. This overinvestment led by stimulating mix of policies pursued by the government has led to bubble creations or overvaluations in almost all the asset classes. This has created an increasingly toxic and dangerous situation in China. The levels of public debt in an economy act as early-warning criteria to identify an upcoming crisis. These levels have increased alarmingly in China. In 2013, the public debt to GDP was at levels of around 200% experiencing a 60% growth from the levels in 2008. 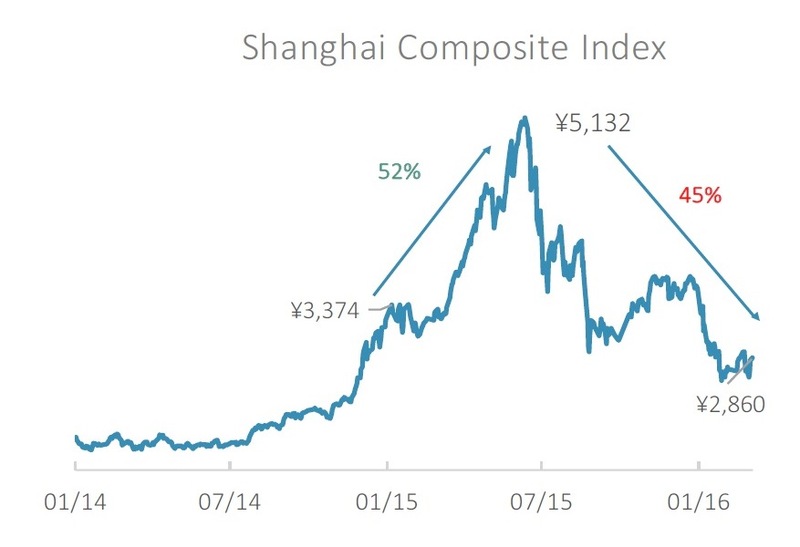 Many experts believe that the ‘Minsky Ponzi’ phase for the Chinese economy is over and now, it is not a question of ‘if’ but ‘when’ would there be a Minsky moment in China? We’ve already seen glimpses of it with the stock market crash. We have to consider that this would not just affect China but would pose a huge systemic risk for the world economy. China accounts for almost 18% of the total world economic activity. As of February 2016, Chinese exports fell a staggering 25.4%, witnessing their worst month in the post-crisis period. In case of a crisis, countries like US, Japan, Korea, Germany, Australia and many more would be severely affected. Chinese authorities have been trying to address the situation with several policy changes. But, perhaps, they are trying too hard to keep the situation under control. China is trying to conquer ‘The Impossible Trinity’ targeting fixed exchange rate, low interest rates and capital controls. In the early 90s, UK tried the same and it ended in disaster. No modern economy has ever been successful trying to solve this economic puzzle. In the failing attempts to achieve this, China’s huge pool of foreign exchange reserves have fallen from $3.99 trillion in June 2014 to $ 3.2 trillion last month. • Between 2011 and 2013 China consumed more cement than the US in the whole 20th century. have roughly the same GDP per capita. • A developer in China built a complete 57-story skyscraper in just 19 days last year. As a Master in Finance candidate 2017 at IE Business School, Pulkit is equipped with the latest knowledge in areas of finance such as Corporate Finance, Capital Markets, and Derivatives. At the age of 21, he is also a 2016 Level II Candidate in the CFA Program. He completed his Level I in the CFA Program in December 2015 in his first attempt. He holds a Bachelors of Commerce from University of Delhi. He holds professional experience in business and industry analysis with a keen interest in the Agrochemicals Sector. He has also co-founded an education based startup aimed at helping students find the right universities. He also acts as the lead programmer of the website handling all its backend. His areas of expertise in finance include: Valuation, Advanced Financial Modelling, Advanced Corporate Finance, Financial Math Programming, Derivatives & Risk Management, Equity Capital Markets, Quantitative Finance, Strategic Macro Economics for Investors, Investment in Commodities. Apart from finance, Pulkit holds a keen interest in activities like football, yoga & meditation, sketching and programming. He has advanced proficiency in MS Office Suite, Bloomberg Terminal, MATLAB, Factset, programming languages like PHP, HTML, MySQL. He is also knowledgeable in JAVA.